Remember, it is that time of the year to be gathering and making our various ingathering kits. There is a list of all items needed HERE. Kits need to be at the church no later than Oct. 26, 2015. 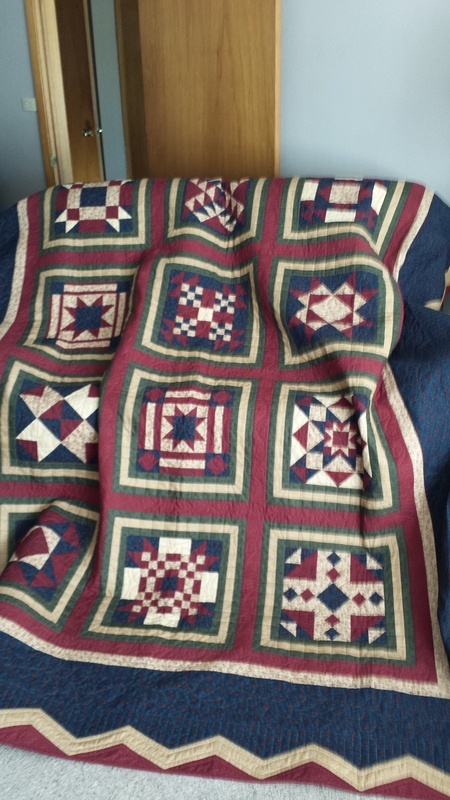 A special thanks to Judy and Ray Timan, who donated this beautiful quilt to be auctioned at our district Ingathering meeting this fall. Judy’s handiwork was purchased by Pastor Jerry and Amy Miller, so fortunately, it stayed close to home! Thank you, Timan’s, for your hand-stitched love and support for Missions, as well as, Hope United Methodist Church! In 2014 (January – May) the Midwest Mission Distribution Center (an UMCOR depot) has had 7 shipments go for international distribution and 63 shipments for US distribution. 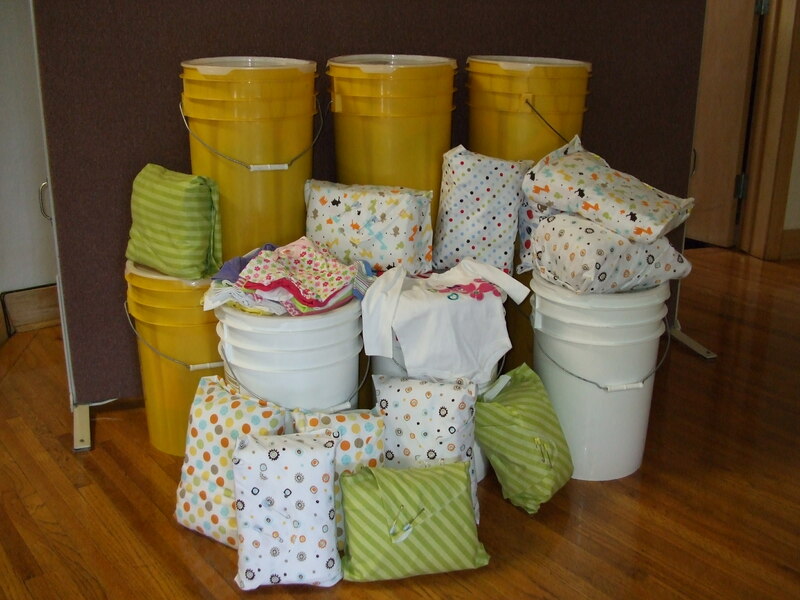 Thank you for helping replenish their warehouse with 10 cleaning buckets and 12 layettes from Hope Parish, which were delivered to annual conference. A total of 210 onesies were collected for shelters in northwest Iowa. Thank you for your contributions toward this project. With your support, we can continue to reach out and help our brothers and sisters in need! Do you know what PET is?? PET (Personal Energy Transportation) had its beginnings in 1995 when a missionary in Zaire (now Congo) saw a great need for personal mobility for vast numbers of persons suffering from the loss or use of legs due to polio, land mines, etc., in developing counties. The missionary contacted a pastor in Missouri who contacted a project designer. 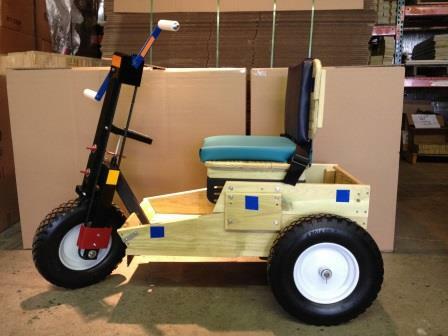 The result is a practical, sturdy, maintainable three-wheeled hand-cranked wheelchair. The first PETs were shipped to Zaire in 1996. Today, 44,000 PETs have been distributed in 100 countries. One of the 23 PET affiliates in the U.S. is located in Hawarden, Iowa. At least 200 PETs are produced there every year. The cost for material, assembling, boxing and shipping a PET overseas is $250.00. For more information, click PET. The Hope UMC missions ministry team had a baked potato bar (with a brownie sundae for dessert) on February 23rd following worship at the Pocahontas Center to help provide the Gift of Mobility for God’s people in need. There was a freewill offering. We are blessed to report that through your generous giving, we raised enough for 6+ PETs! Thanks! These and other miscellaneous mission giving totaled over eleven thousand dollars. We respond to Jesus’s calling, “For I was hungry and you gave me food, I was thirsty and you gave me something to drink, I was a stranger and you welcomed me, I was in prison and you visited me.” (Matthew 25: 35-36).